Home » Diet » Top 5 Health Benefits of Mushrooms! With no agreed place of origin, a multitude of myths from a host of cultures surrounding their uses as signs of social hierarchy through to symbols of immortality and their ambiguous position in nature in which they are considered more closely related to humans than plants – the prehistoric mushroom is truly a mysterious subject. More of an umbrella label for a category of fruit bodied fungi than a singular organism, the mushroom has been central to shamanistic medicine in regions such as South America and Mexico and is an integral food source of the Far-East and Europe. Let’s discover more and get familiar with the Top 5 Health Benefits of Mushrooms! Dreaming about mushrooms is speculated to be symbolic of fertility. While this may simply be mysticism, there could be some truth associated with such symbolism. A number of mushrooms, including the shitake, have been found to contain a high density of a mineral called ‘selenium’. 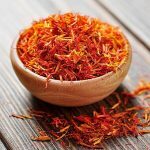 Selenium is regarded to improve the lifespan of sperm, while also acting as an antioxidant, preventing damage that may occur to cells from free-radicals and toxins. Don’t allow the button mushrooms commonality to lower your perception of its potential health benefits! Button mushrooms have been found to be effective in reducing the proliferation of cancerous tumours, thus reducing the risk of breast (and potentially other forms of) cancer. Shitake and Portobello mushrooms contain a very similar amount of potassium to bananas. Potassium plays a crucial part in counteracting the effects of sodium (or salt), regulating healthy blood pressure. If you are going to have a fry-up at the weekend, be sure to include some fungi friends! The Enoki mushroom is a culinary stable in many Asian countries. If you’re familiar with weight loss supplements, you may have come across ‘CLA’ or ‘Conjugated Linoleic Acid’, used to help burn fat and as a source of Omega 3, in addition to assisting with enzymes utilised in burning visceral fat. Enoki mushrooms are a rare non-meat originated source of CLA, making them both an authentic and nutritionally conscious addition to your next bowl of miso! The Chinese cordycep mushroom has been recognised for its ability to boost energy and stamina in athletes. During exercise, the body draws a high percentage of its energy from a molecule called ‘ATP’, cordyceps are believed to boost our production of this, thereby prolonging and improving performance. 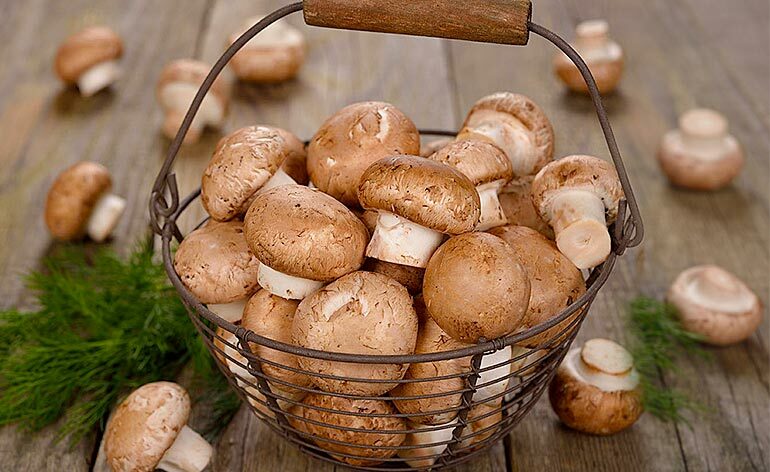 With huge network of varieties to choose from offering an endless array of flavours, colours, and textures to your dishes, you can be sure that you’ll be taking in a nutrient boost whatever type of edible mushroom you consume. Whether you’re after a vegan source of selenium, elevating your workout, or increased immunity – the mushroom is a wondrous little button of nature that (psychoactive or not) is worthy of being labelled as ‘magic’. What mushrooms do you like, got a recipe? Tell us below or @KeepfitKingdom ! 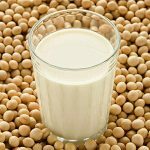 Top 5 Soya Health Claims!